If you are unsure of what size you need, you can use the calculator below to get a recommendation. Simply enter your measurements, or the measurements of who you are buying for below and we will give you a recommendation for the sizes you require. Be aware that these recommended sizes are estimates based on the data you have entered. If you are at all unsure of you sizes, do not order customised garments as they cannot be returned afterwards. If you have any questions you should contact our sales team on sales@leonpaulusa.com who will be happy to assist you. Measure around the largest part of your chest with a full breath of air and refer to the tables below. 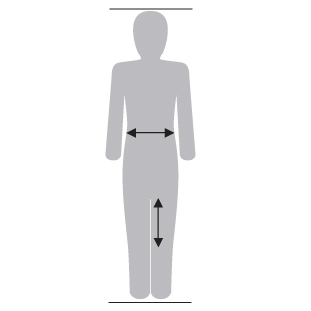 All jackets are sized by chest measurement and increase in 2” increments. If you are between two sizes and you like a tight fit, order the size as per your measurement. If you prefer a standard fit then order one size larger. All Lame jackets are designed to fit over the same size of jacket and don't require separate sizing. Measure the circumference of your waist and refer to the tables below. Sizes increase in 2 inch increments. If you are between two sizes and if you like a tight fit, order the size as per your measurement. If you prefer a standard fit then order one size larger. If you are tall and have a slim athletic build we advise customers to consider ordering the long Knickers. Please measure and refer to the inside leg measurements in the table to determine if you need a long size. Long sizes are only available in 800N APEX range and selected TEAM range sizes. These give an extra 2” on the length of the legs of the breeches. Measure around the largest part of your chest with a full breath of air and refer to the table below. Underarm protectors come in small, medium, large and extra large. As they are fitted under your jacket and therefore held in place by it, the fit is not as important as your outer layer. Measure the circumference of your waist. Sizes increase in 2 inch increments.. If you are between two sizes and if you like a tight fit, order the size as per your measurement. If you prefer a standard fit then order one size larger. Junior underarm protectors are one size only and are sized to fit young children. Older children will need an adults small. As they are fitted under your jacket and therefore held in place by it, the fit is not as important as your outer layer. 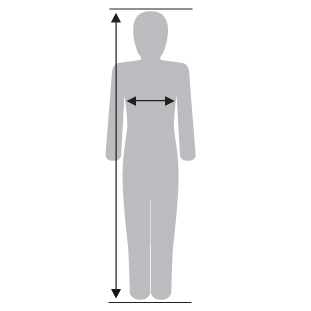 Measure the circumference of the chest with a full breath of air and refer to the table below. Measure the vertical circumference around your head. 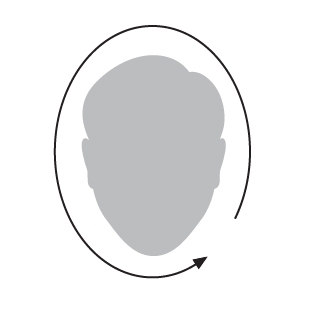 This is measured around your head from chin to the top of the head. Then refer to the table below. 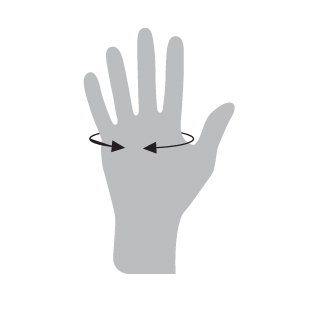 Measure your fencing hand at its widest point excluding the thumb and refer to the table below. Ensure the tape is held tightly as you measure for the best possible result.